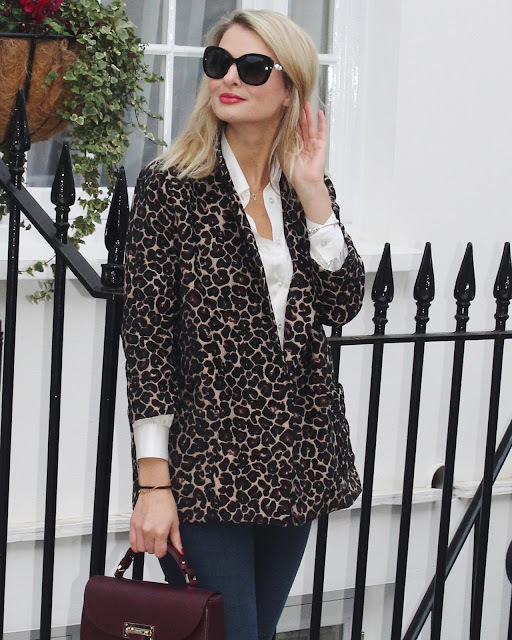 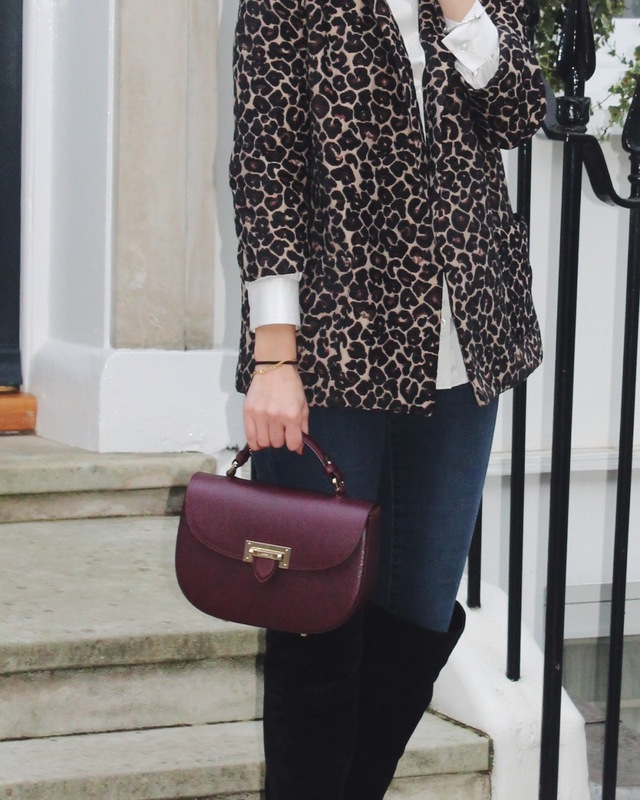 I've been looking for the perfect leopard print coat for a while now and I'm loving the cute cut and colour of this 60's inspired coat. 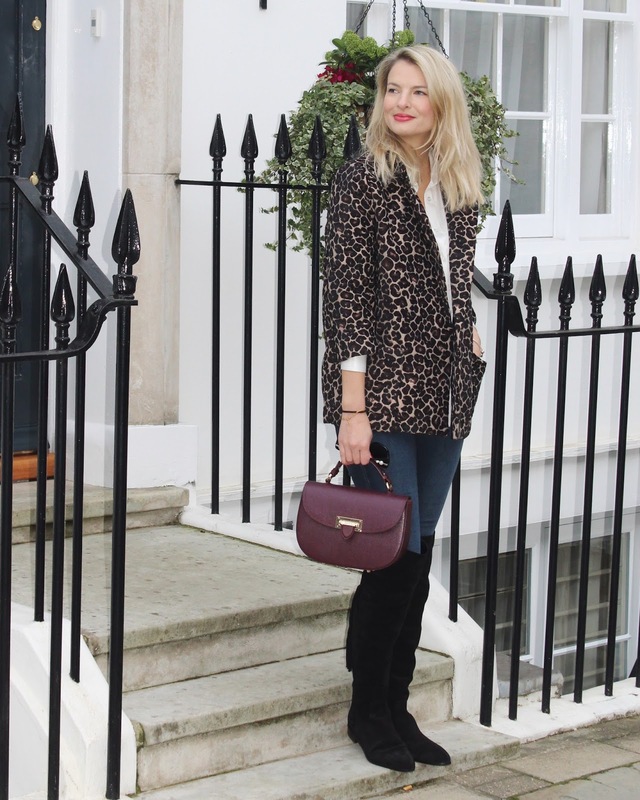 The burgundy satchel bag and over the knee boots are the perfect a/w staples and currently on high rotation. Fab look, the coat is so chic! 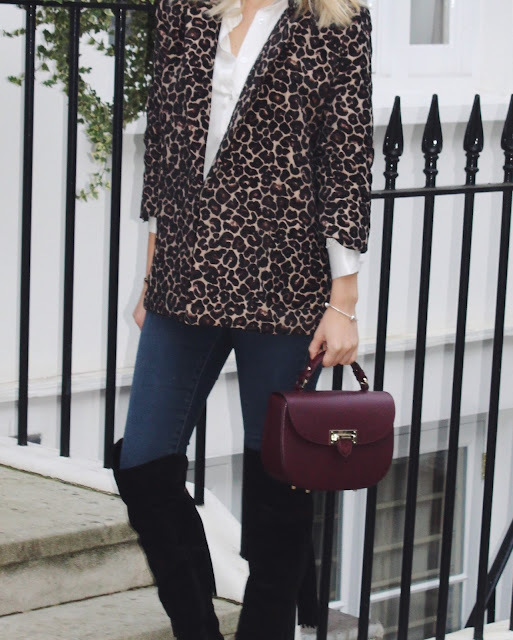 I tried investing in a leopard print coat but I ended up looking more Pat Butcher haha, but this is gorgeous! Those boots babe… Just amazing.